This listing includes FOUR necklaces. An adorable gift for a mother and daughters. 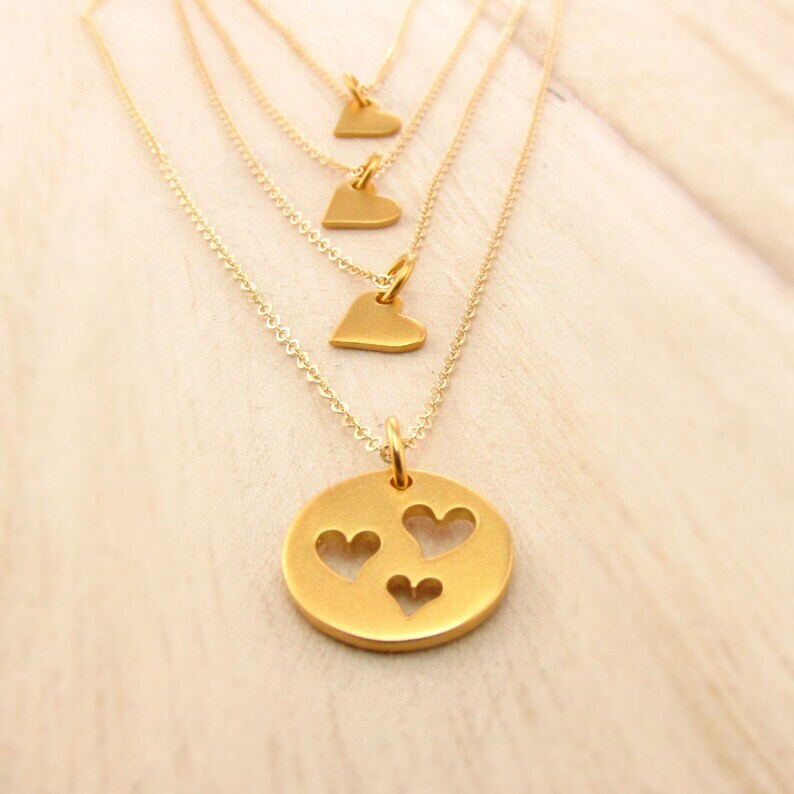 This set includes both the large pendant with three heart cut outs, as well as three small heart charm necklaces that fit right in place. A cute way to wear and remember the love for your little (or big) ones always. Perfect for back to school! Also available in Sterling Silver: https://www.etsy.com/listing/200973298/mother-daughter-set-four-necklaces-for?